This tweet, and the following thread, was recently posted by V. Judah Khaykin, who works with the Anti-Defamation League. I was glad to see that the thread included some material I had tried to highlight in my writings, because I’ve long felt that the prevalent notion that right-wing and left-wing antisemitism are two totally different beasts is mistaken. I first noticed some five years ago that both the left and the far-right would enthusiastically embrace a writer like Max Blumenthal who devoted all his energies to demonizing the world’s only Jewish state. While the far-right still embraces the Nazi slogan “the Jews are our misfortune,” they have no problem recognizing kindred spirits in those who devote their energies to convincing people that “the Jewish state is our misfortune.” Yet “anti-Zionists” on the left don’t think they should be concerned about the popularity of their leading lights on the far-right. Instead of acknowledging that the far-right embraces the relentless efforts to turn Israel into the Jew of the nations for good reason, the far-left prefers to take offense when anyone points out that when it comes to the world’s only Jewish state, there’s an unfortunate meeting of minds. There’s no shortage of examples illustrating this meeting of minds between the far-right and the far-left. One example most will be familiar with is far-left Labour leader Jeremy Corbyn, who has garnered support from far-right leaders in the UK and the US. Then there are supposedly leftist academics like Shlomo Sand, who first earned the admiration of antisemites everywhere with his book-length musings about “The Invention of the Jewish People.” Sand’s diatribe was hugely successful as it appealed to both old-fashioned Jew-haters and supposedly progressive “anti-Zionists.” After producing another two similar screeds, Sand had firmly established himself as a favorite authority on Jews among Jew-haters left and right. Another notable example from academia is Columbia University Professor Joseph Massad, who is adored by supposedly progressive anti-Israel activists like Ali Abunimah for writings on Zionism and Israel that are hard to distinguish from material you can also read on the neo-Nazi forum Stormfront – which is presumably the reason why Massad’s articles have actually been shared on Stormfront. 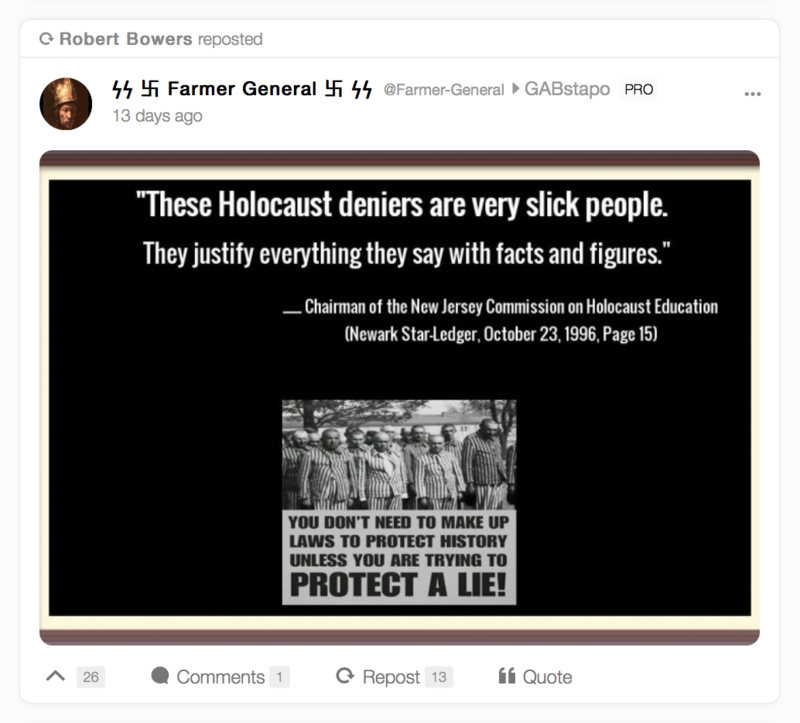 I came across yet another example when I recently researched the archived social media posts of the white supremacist who attacked a Pittsburgh synagogue in October. 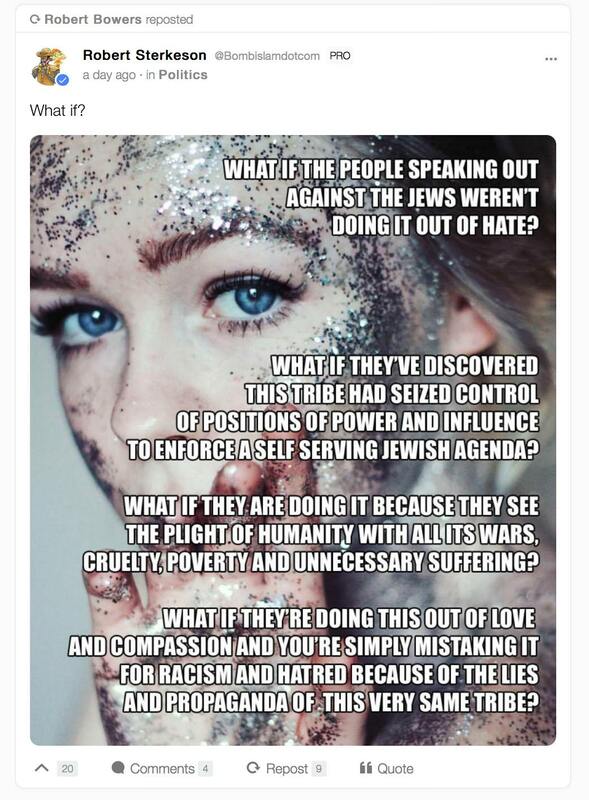 There was of course a lot of the kind of stunningly vile neo-Nazi material one would expect, but there were also some posts that reflect themes popular among anti-Israel activists who regard themselves as staunch leftists. 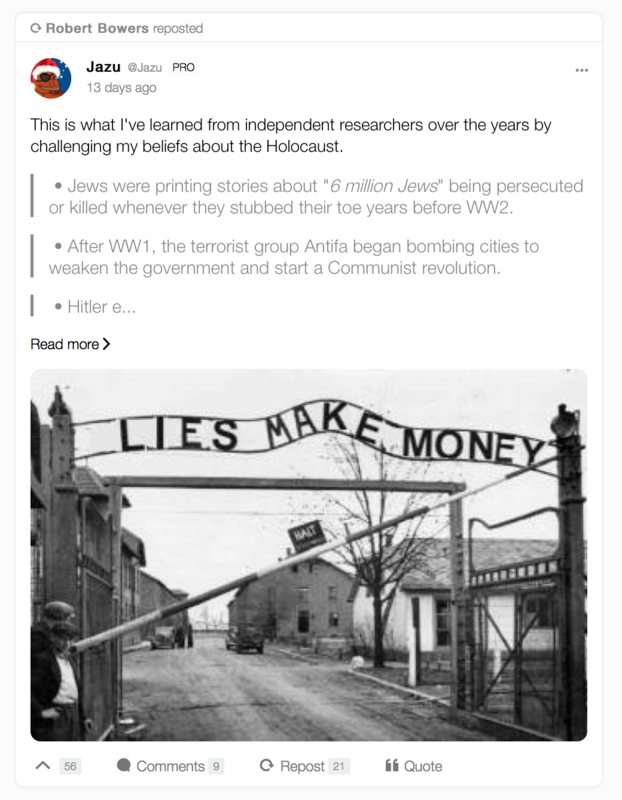 Following a link from one of these posts, I came to a site that proudly advertises its racism already with its name: “Diversity Macht Frei” – a breathtakingly cynical adaption of the notorious Nazi slogan “Arbeit macht frei” (work sets you free), which was part of the main entrance gate to Auschwitz. Unsurprisingly, posts from this obscene site are often cross-posted on the neo-Nazi site Daily Stormer. And while Duke doesn’t think too much of Women’s March leader and prominent activist Linda Sarsour, he does think she’s absolutely right to believe Israel exerts undue influence on US politicians. Sarsour and her fellow Women’s March leaders have recently been in the news again due to longstanding criticism of ties to the bigoted Nation of Islam leader Louis Farrakhan and well-founded suspicions about their own antisemitic views. I’m particularly familiar with Sarsour’s problematic views, which I documented already in March 2017, when she could still count on the media to accept her claims that anyone who criticized her was just a bigoted right-winger. Many were inclined to argue that as a Palestinian-American, it was only understandable that Sarsour rejected Zionism and was always eager to “criticize” Israel. But once again it was not only David Duke who noticed that Sarsour’s dislike for the Jewish state was easy to embrace for those who dislike Jews. Last but by no means least, it’s noteworthy that the mad ravings Gilad Atzmon released as a book in 2017 “includes a foreword by American politician Cynthia McKinney and is published by Palestinian writer Karl Sabbagh.” Atzmon garnered endorsements from Francis Boyle (a professor of international law at the University of Illinois) and James Petras (a retired US sociology professor) as well as Richard Falk (an American professor emeritus and former UN official). All of these Atzmon fans surely count as “progressives” given their record in “pro-Palestinan” activism – but needless to say, Atzmon has also a solid fan base on the antisemitic far-right and could no doubt have gotten enthusiastic endorsements from the likes of David Duke and Ron Unz.